Imagine if the U.S. were to witness its paper currency plummet to just 4% of its face value. Then, imagine the ruling powers were to decisively withdrawal all government deposits from its central banks. Finally, imagine we start to produce 45% of the world’s gold supply. Now, imagine that all those things have already happened. Welcome to the turbulent early days of gold. Divisiveness and debate were at home in America during the nineteenth century as much as they are today. Only in that time one of the major topics was determining how to handle the issue of money. That is, the founding fathers had to determine how currency would work in this burgeoning land. Many people detested paper money and considered gold, as many do today, as the only real, dependable form of payment. However, the U.S. was taking shape and if economic growth were to be sustained how would gold scale? Citizens would have to mine it and track it and all at a speed that kept pace with the rapid population growth occurring across the land. Therefore, states issued their own paper currency. These predecessors to the money we use today carried names like “red dogs,” “smooth monkeys,” and “stump tails,” as researcher and historian James Ledbetter explains in his latest book. However, despite the necessity of this system leaders like Thomas Jefferson warned that “bank notes will be as oak leaves.” He, like others feared rampant inflation. Meanwhile, a uniform paper currency still eluded the country. In isolated cases Jefferson’s fears came to fruition as Rhode Island banknotes sank to just 4% of their face value from 1730 to 1750. This outcome was not uncommon. Ledbetter offers an anecdote from a man who saw a one-dollar note diminish to nothing in the span of traveling just one hundred yards. The reason: across state lines various currencies held different sway. However, the gold rush sparked renewed fervor around precious metals as production peaked in approximately 1852. The onslaught of ordinary miners seeking wealth came fast. But deposits were soon depleted and any remaining gold required heavy, expensive machinery to be unearthed. Today, gold remains as captivating to Americans and investors across the world. As of the end of the first quarter of this year bar and coin demand increased by 9% YoY. 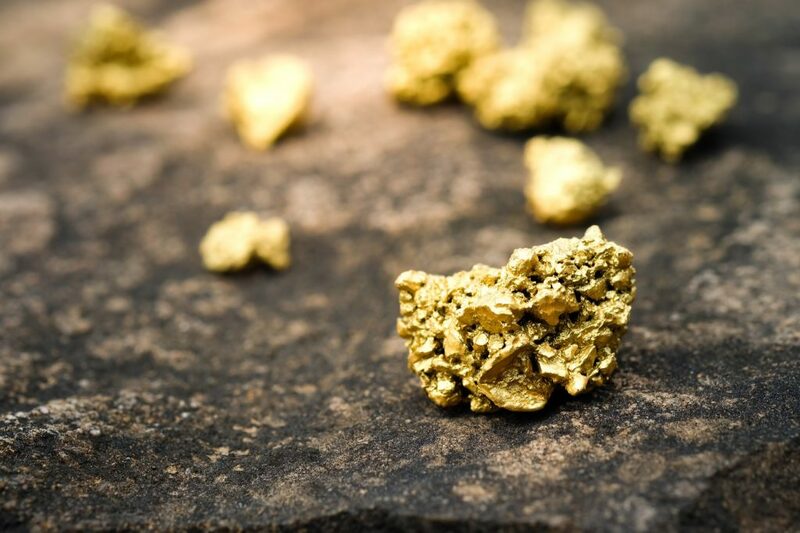 Interestingly, this growth is due, in part, to a resurgence in interest among banks which are “increasingly looking to develop their gold businesses to offer a compelling proposition to investors,” according to The World Gold Council. Moreover, this trend has international appeal. In the last quarter of 2016 the Bank of China started offering investors an interest-bearing gold instrument. Other inventions like “Microgold” offer investors a physical-backed product which makes purchasing the precious metal easier. This development represents a drive to bring a new generation into the world of gold investing through more accessible digital means. Gold was never abundant enough to support the breakneck speed of America’s development. However, this very fact forms the basis of its appeal today; its rarity underpins its effectiveness as a universal, global currency. “Stump tails” change but gold is here to stay.